Kia will preview a range of new technologies developed for the post-autonomous driving era at the 2019 Consumer Electronics Show (CES) next month. 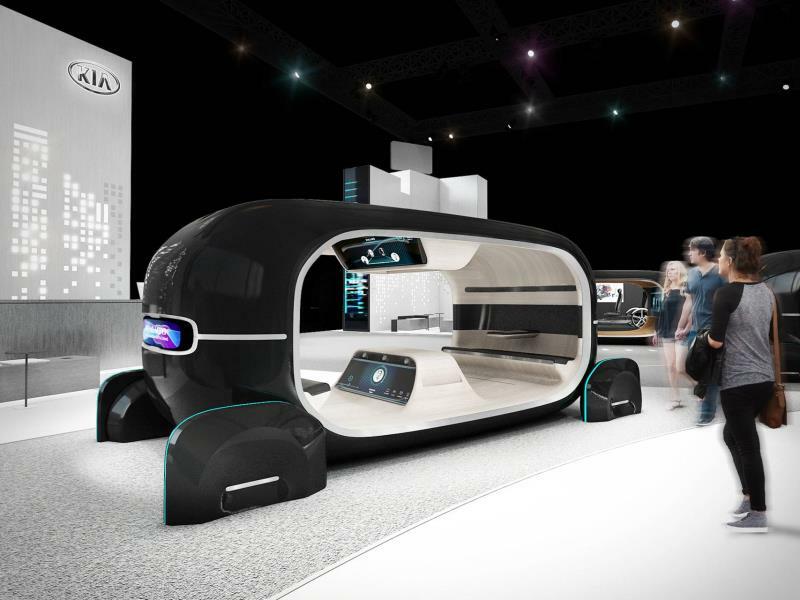 Kia’s interactive "Space of Emotive Driving" exhibit looks to a future when autonomous driving is the norm and priority is given to improving the human mobility experience. Central to this concept is Kia’s new Real-time Emotion Adaptive Driving (R.E.A.D.) system - a world’s first technology developed based on a joint research collaboration with the Massachusetts Institute of Technology (MIT) Media Lab's Affective Computing group. R.E.A.D. system can optimize and personalize a vehicle cabin space by analyzing a driver’s emotional state in real-time through artificial intelligence-based bio-signal recognition technology. The technology monitors a driver’s emotional state and tailors the interior environment according to its assessment - potentially altering conditions relating to the human senses within the cabin, creating a more joyful mobility experience. Albert Biermann, President and Head of Research & Development Division of Kia Motors, said: "We have developed R.E.A.D. system to create an interactive future mobility in-cabin space by converging cutting edge vehicle control technology and AI-based emotional intelligence. Consequently, R.E.A.D. system will enable continuous communication between drivers and vehicles through the unspoken language of 'emotional feeling', thereby providing an optimized human senses-oriented space for drivers in real-time." Kia’s CES exhibit will also feature several other advanced in-car and mobility technologies focused on the brand’s ‘emotive driving’ concept, with more details set to be announced in the build-up to the 2019 event. For an enhanced visitor experience, Kia will operate 15-minute "Docent Tours" at regular intervals at the booth throughout the duration of CES 2019. The tours will give attendees a more in-depth understanding of the new technologies on display.